Tourists from the UK are heading back to favourite holiday destinations that until recently were considered by many to be at risk of unrest or terrorism, according to the latest findings from ForwardKeys and GfK which predicts future travel patterns by analysing booking transactions by travel agents. The big winners are Turkey, Tunisia and Egypt, although the two Arab countries have yet to recover their full potential. Turkey with the biggest market share of the three, is showing a 66.4% growth in UK leisure bookings on last year; Egypt is ahead 50.9%, and Tunisia - with a 0.7% share - is ahead 901.0%. Leisure bookings to more traditional safe destinations, Spain and Portugal have fallen back 2.5% and 0.2% respectively, according to the combined ForwardKeys and GfK data, although their visitor numbers have been kept high in recent years as a result of the threats to other destinations. David Hope, Senior Client Insight Director, GfK market research, said: “The growth is driven by the dynamism of short and mid haul summer destinations, up by 7.7%. These destinations represent around 60% of British international travel in the summer period. 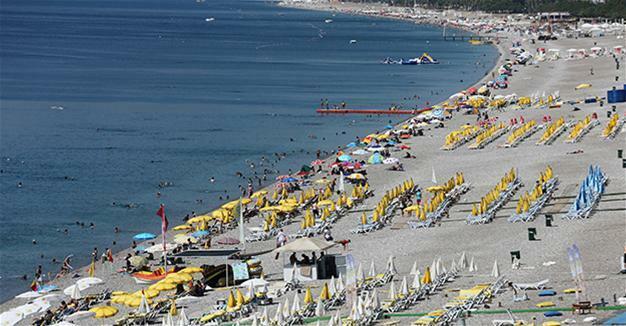 “British tourists are flocking back to Turkey, Tunisia and Egypt, after the security incidents in 2015 and 2016. Spain and Portugal will see slightly fewer tourists, while other European destinations, including Greece, Croatia and Bulgaria, maintain an optimistic outlook.